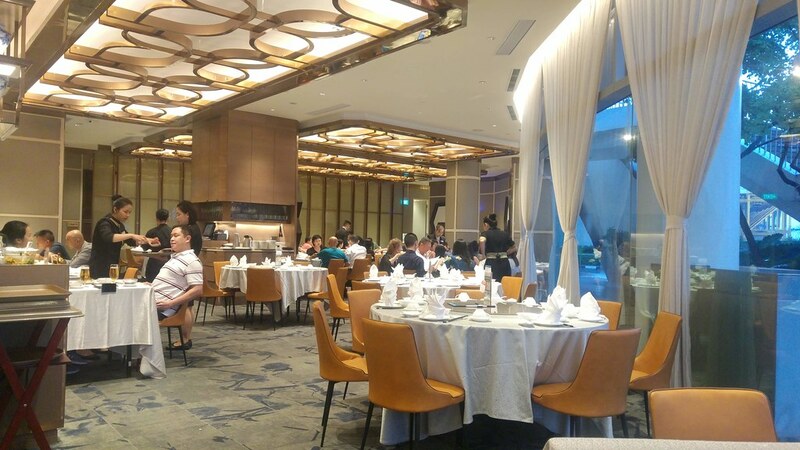 Paradise Teochew in VivoCity is the brand's second outlet by the Paradise Group and its opening also witnessed the launch of 13 new dishes, created exclusively for this outlet by Executive Chef Cheng Fa Kwan. The new restaurant has taken over the space previously occupied by Jpot. 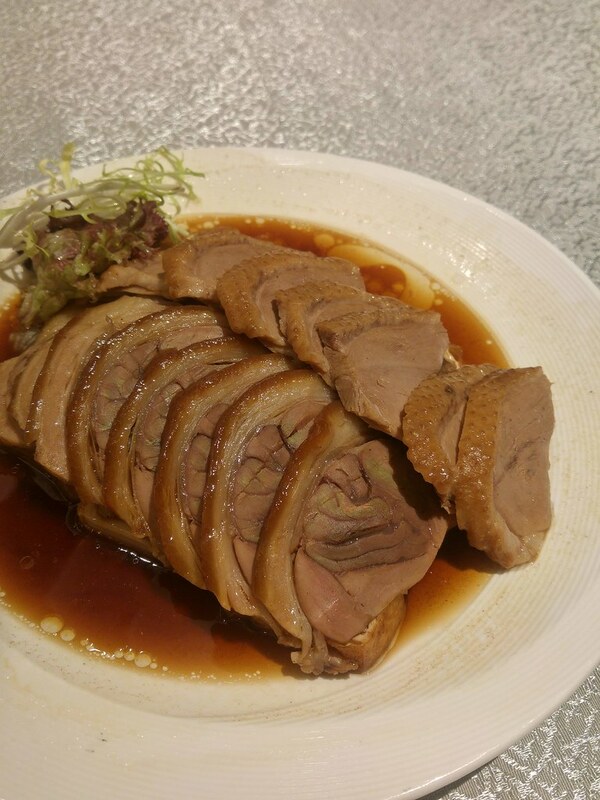 潮式卤味双拼 (鸭片,分蹄) Teochew Style Braised Duo Combination Platter (Sliced Irish Fat Duck, Sliced Pork Knuckle) ($26 Small) is a great way to start off your meal. The gravy was very light with hints of notes from spices. Using Irish Fat Duck, the layer of fats underneath the skin help to keep the meat tender, though some slices turned out to be a tad dry. I was more impressed with the thinly sliced pork knuckle. Every slice has a nice crunch to it and I never thought that pork knuckle can be enjoyed in this manner. 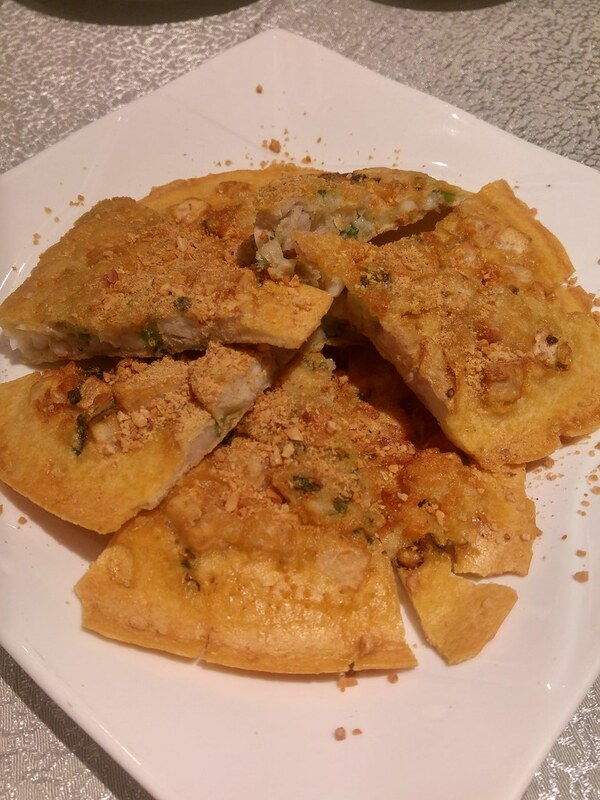 潮州海鲜芋头烙 Teochew Pan-fried Seafood and Yam Pancake ($24) is suitable for as dim sum snack. I find it dry to have it on its own. A piece may be ok but it is hard to finish the whole plate. An accompanying sweet sauce may be better. 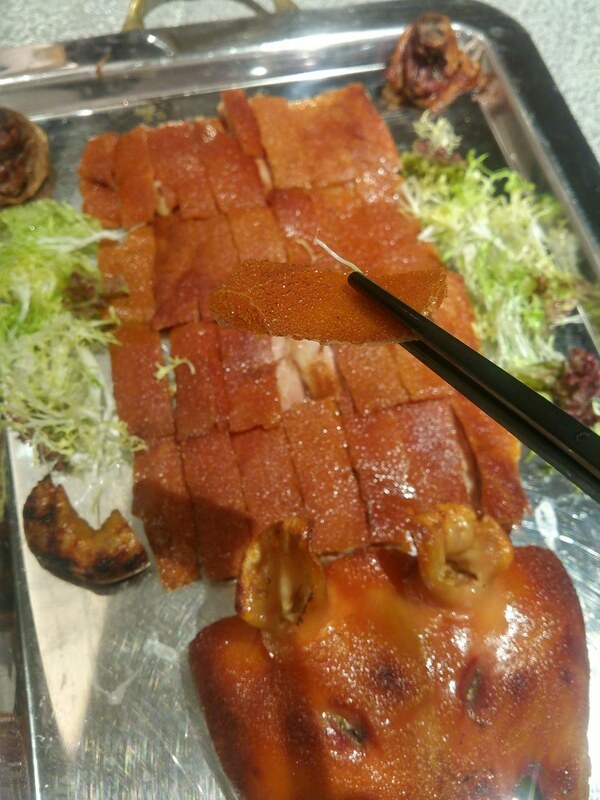 潮式烧乳猪 Teochew Style Roasted Suckling Pig (S$198) was beautiful inside out. The skin was roasted to a perfect crisp, one that cracked readily with a light bite. The meat underneath was very moist and tender and the thin layer of fats sandwiched within the skin and the skin was like butter, bringing the two together in harmony. 半煎煮游水笋壳 Pan-fried and Braised Live Soon Hock was perhaps one of the best braised fish I ever had. The broth was rich with collagen and flavours, so much so that I could feel the layer of collagen on my lips upon drinking the broth. The Soon Hock was being pan-fried before braising, hence it had an additional layer of crisp to its skin which made it even more pleasurable. 鲍鱼石榴果 Steamed Diced Abalone and Shrimp wrapped in Egg White Crepe ($18) was an aesthetically pleasing dish but its flavours didn't quite stand out. 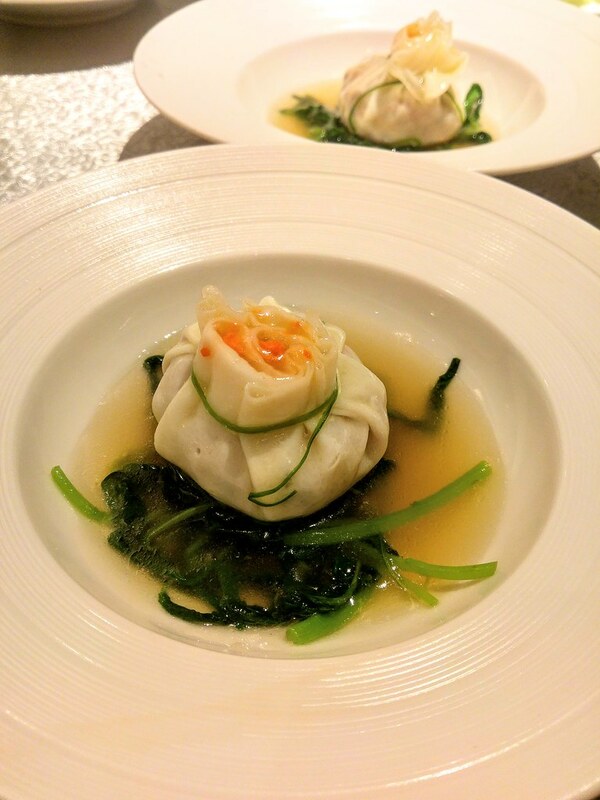 I find it a pity to dice the abalone up into a stuffing when it is quite subtle in taste and flavour. With all the crunch and colours, 潮樂轩小炒皇 Paradise Teochew Stir-fried Assorted Vegetables and Cuttlefish ($28 Small) may even please the palates of non-vegetables diners. 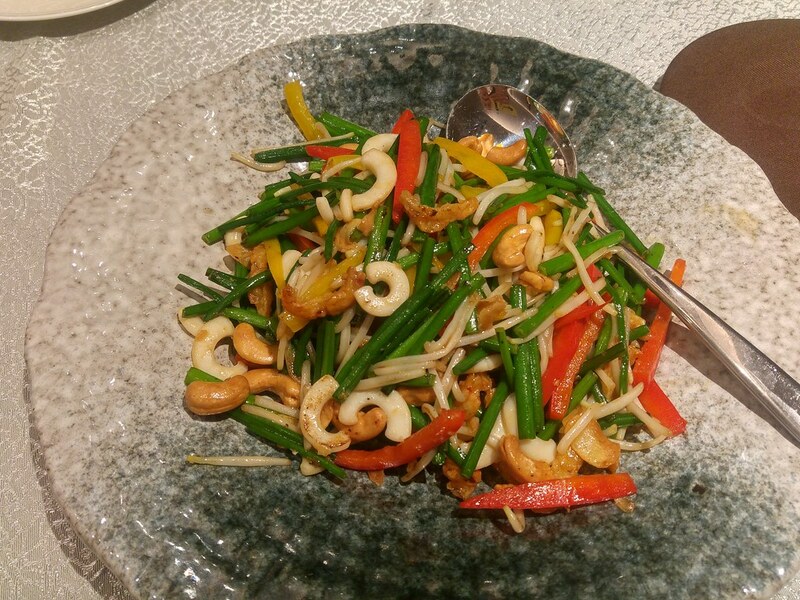 On top of that, notes of wok hei graced the dish, hence every mouthful of it is like a gluten-free Hor Fun! 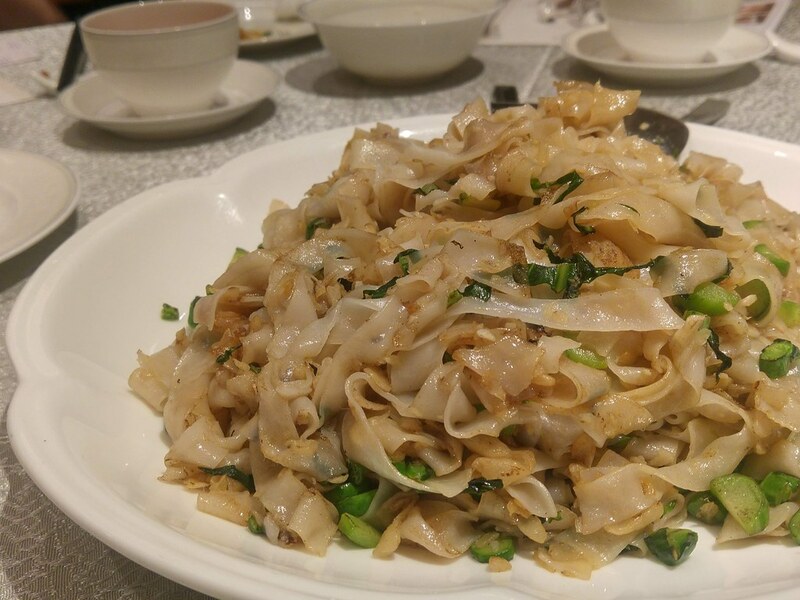 Talking about Hor Fun, their 玉兰菜圃炒河粉 Wok-fried Hor Fun with Kai Lan and Preserved Turnip ($18 Small) is a must-try dish for a taste of traditional teochew flavour. A very simple looking dish but as a diner I am quite sure it takes years to master wok-frying the hor fun to achieve that desired layer of char on the surface without weighing them down with oil. The wok-fried Hor Fun here remained light and loose, and every bite filled my entire mouth with wok hei. 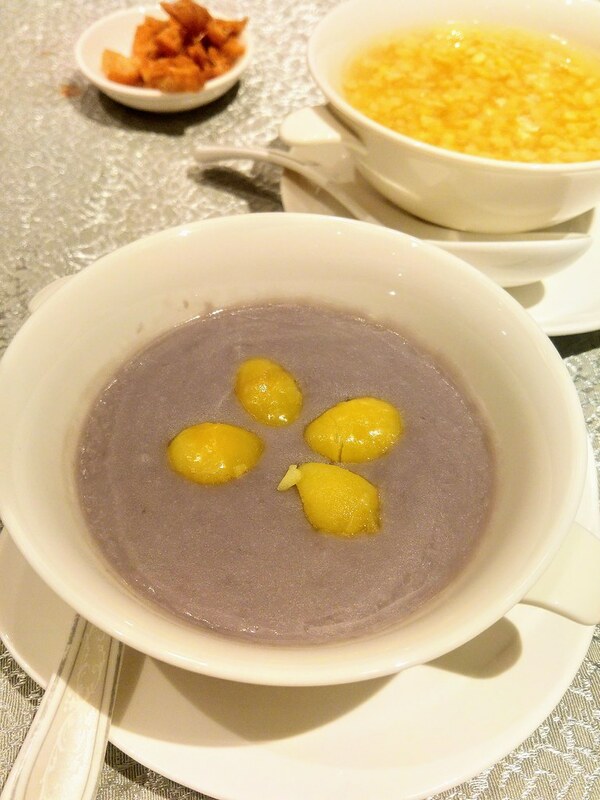 Our desserts were 福果绿豆爽 Tau Suan with Gingko ($4.50) and 福果甜芋泥 Mashed Yam with Gingko ($5), a less-sweet version of what's out there. I only wish that the Ginko Nuts were being left as a whole, instead of being halved. 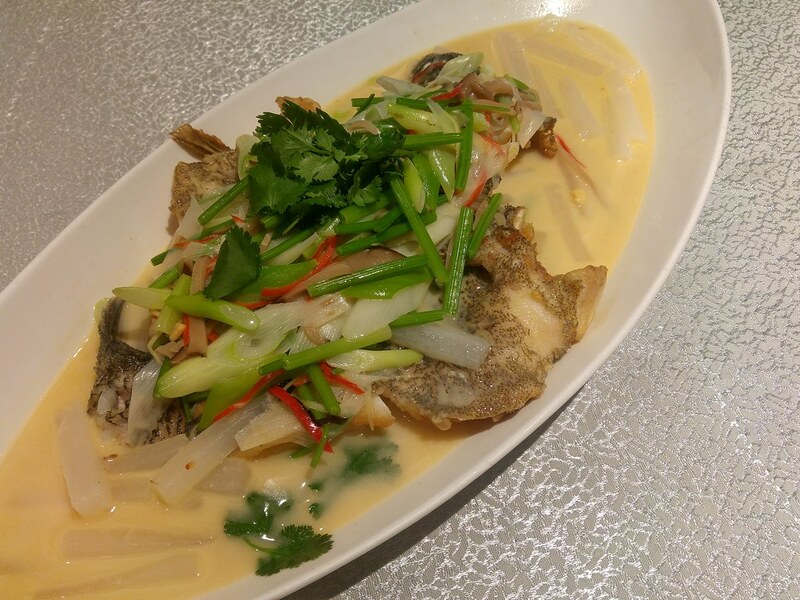 Overall, I'm really impressed with the quality of food at Paradise Teochew. It is a display of skills and mastery over dishes which are seen lacking in many establishments these days. 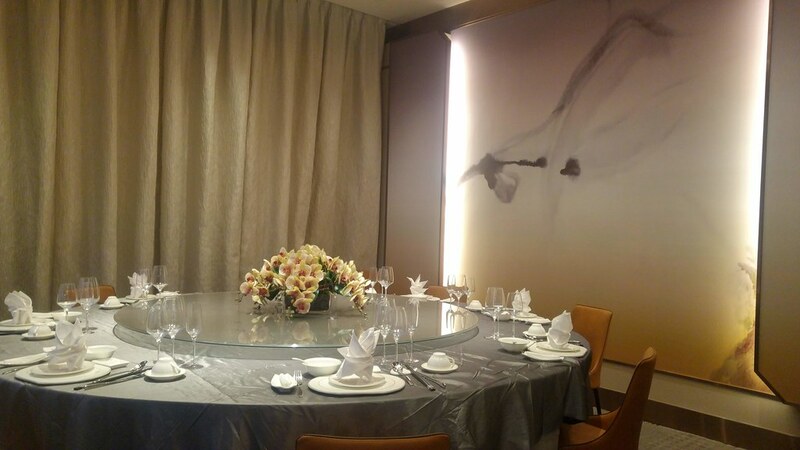 Private rooms are available too which are suitable for private and corporate bookings. Photos and words by Si An. A girl who is allured by travelling, loves the feel of freedom, smell of the rain and the aroma of fine coffee and food. Note: This is an invited tasting.